We took the plane option and the contrast could not have been bigger. 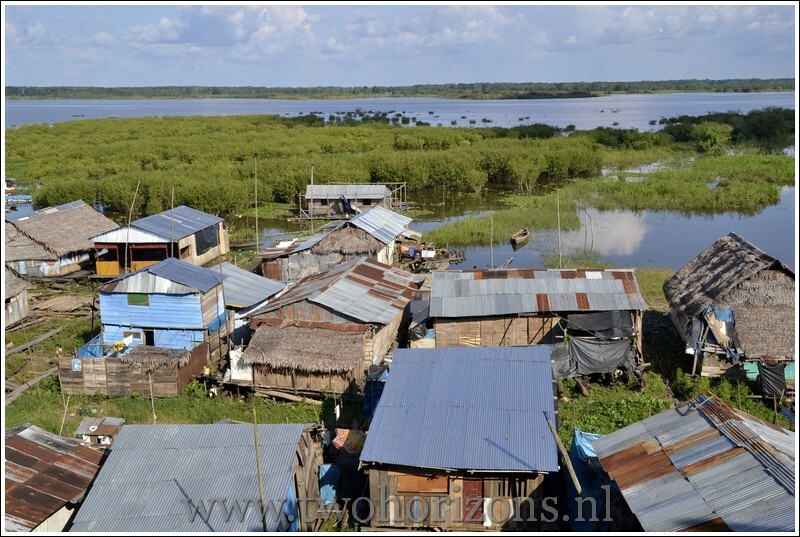 A flight from Lima with a stopover in Pucallpa brought us from concrete jungle to real jungle within 2 hours. From our plane window, the introduction to Iquitos was what you think about when you think jungle, endless trees with a huge brown river snaking through it. Once you step out of the plane, a clammy heat hits you. 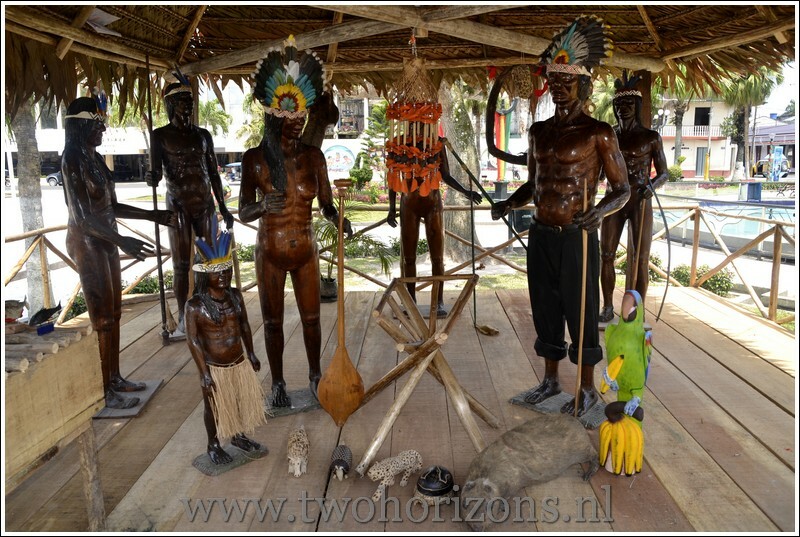 However, Iquitos is not only the transfer point to your jungle expedition, it is also a really unique and exciting city which shows another side of life in the Amazon. 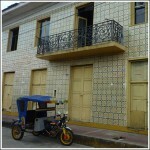 For a city that is partially cut off from the outside world, Iquitos is quite modern but with a distinctive unique feel. 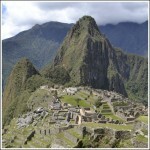 This is also due to a lot of indigenous people who has traded in their jungle lives for a city life. 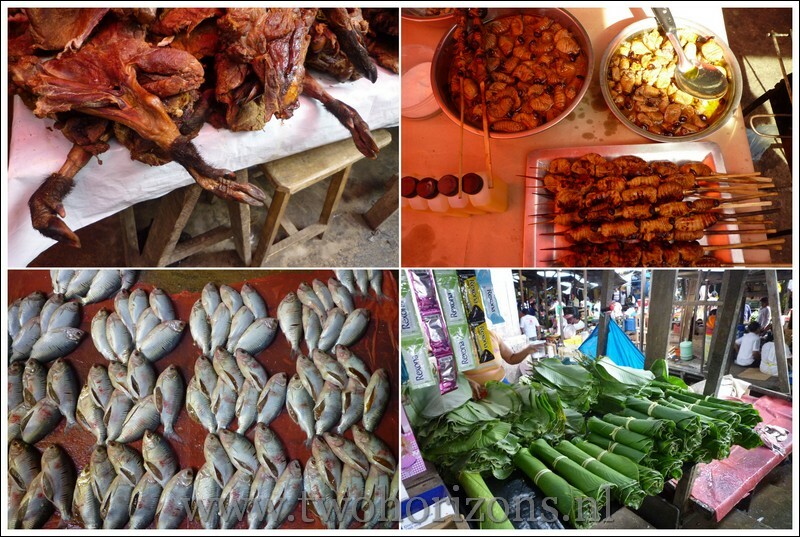 However, a walk around the biggest market in town, in the Belen neighborhood reminds you that you are definitely in the jungle. 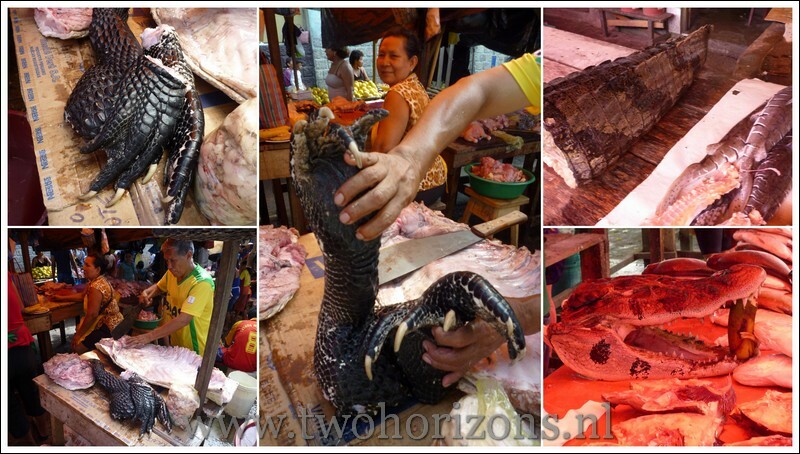 Not only fish and chicken is sold here, but also fresh crocodile and turtle meat. It is official illegal to sell them but they are openly sold from many stalls. All sorts of jungle fruit such as camu camu and cocona is sold in large plastic containers and banana leaves and aloe vera are sold by the bunch. 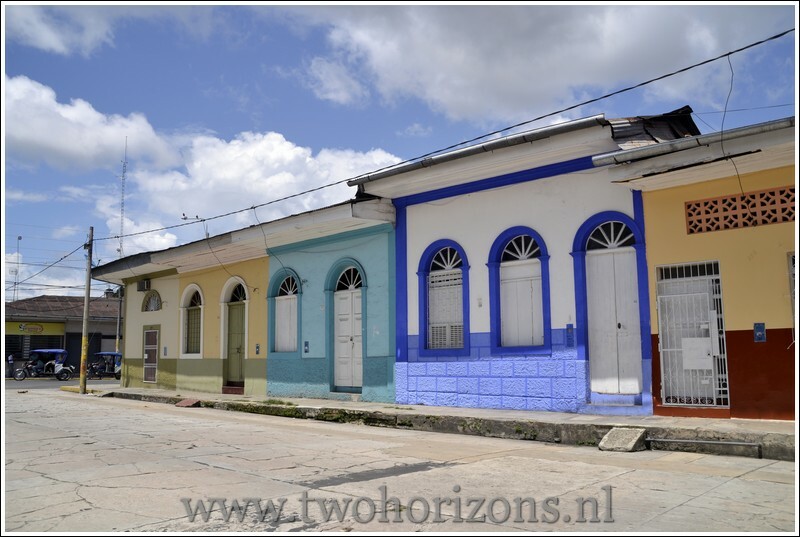 Belen is a neighborhood that is unique in the way that the houses are built. 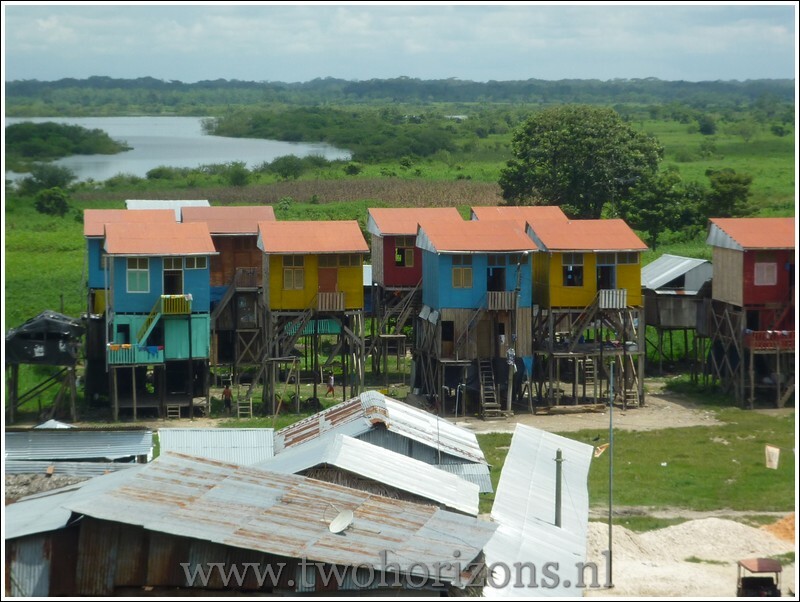 As the houses are not on the main land but out in the river, houses are all built on stilts and rafts as depending on the season, water rises and falls to a couple of meters differences. 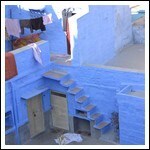 For most of the year, the houses can only be reached by canoes floating from one house to the other. Strolling down the Malecon (boulevard), remnants of the once very prosperous past can be seen by the beautifully tiled buildings. 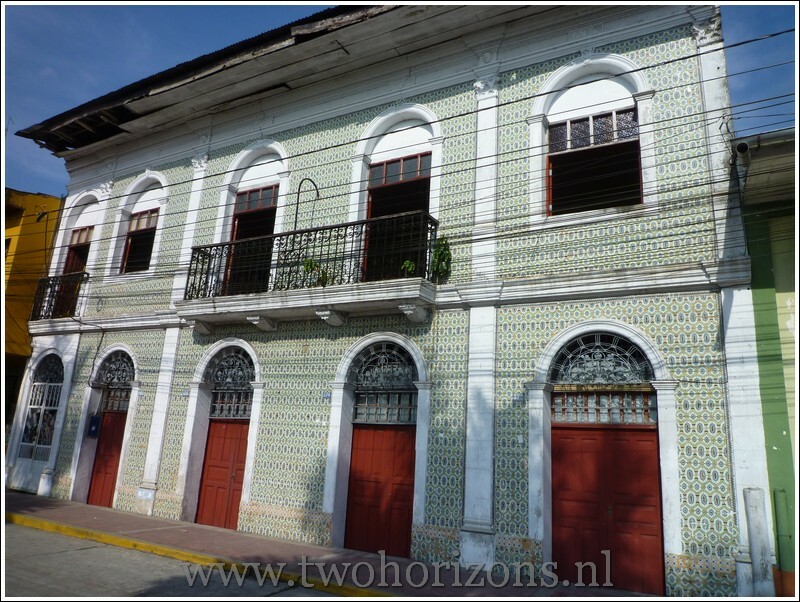 These tiles (azulejos) were brought here by the wealthy rubber barons in Iquitos’ heydays. 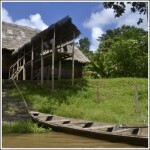 Iquitos enjoyed a short wealthy period when rubber was collected and exported throughout the world. Unfortunately this did not last very long and collapsed when an Englishmen smuggled 70,000 rubber tree seeds from Brazil where they later got replanted in Asia. 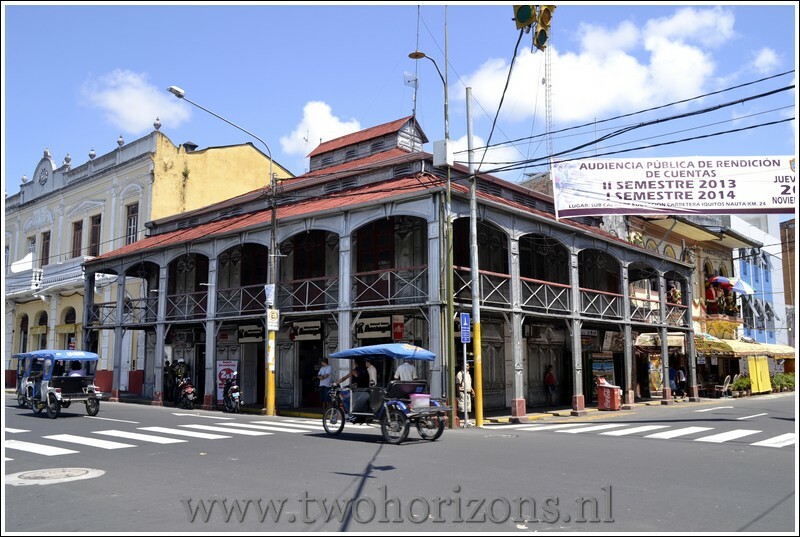 The wealth was short but sweet and one souvenir of the past is the Iron House (Casa de Fierro), a building on the corner of the Plaza de Armas which was designed by Gustave Eiffel. 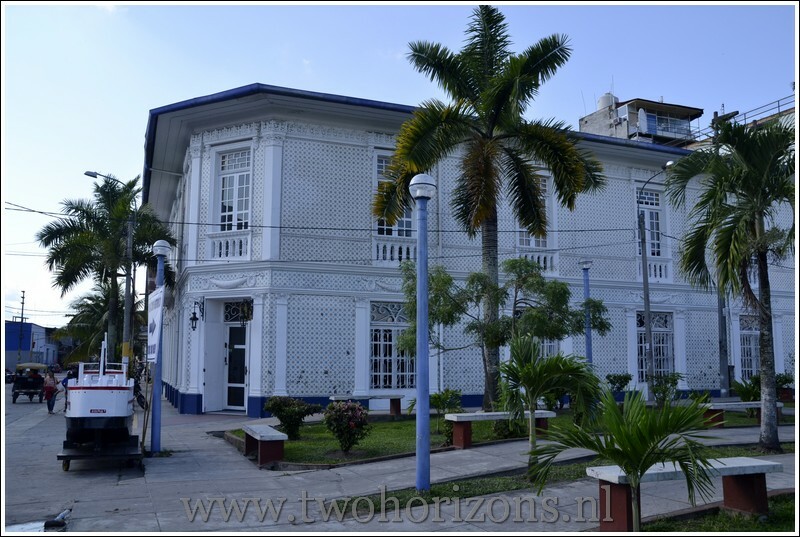 A rubber baron bought the building in Paris and had it transported piece by piece through the jungle to Iquitos. 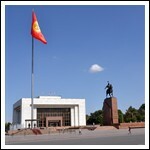 Today, a pharmacy is housed in this once grand building. 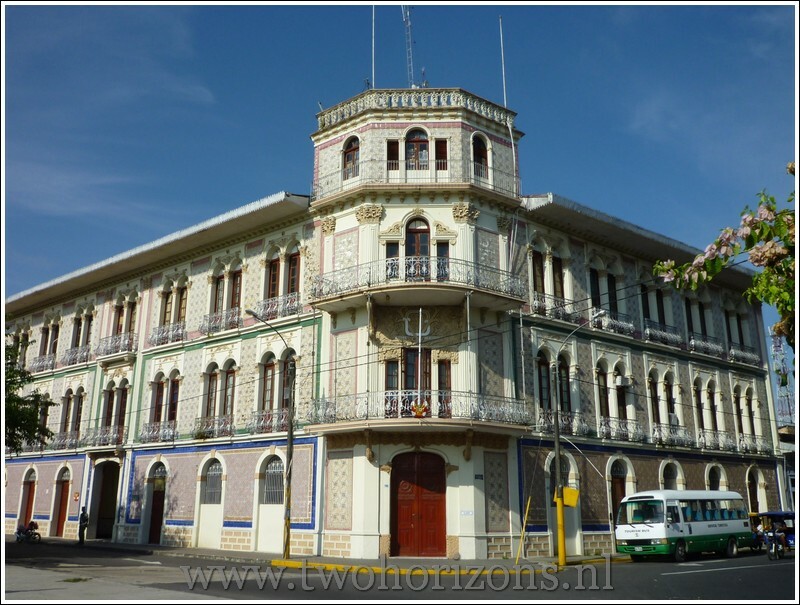 Casa Morey is another building which shows the grandeur of the past, today converted to a boutique hotel. 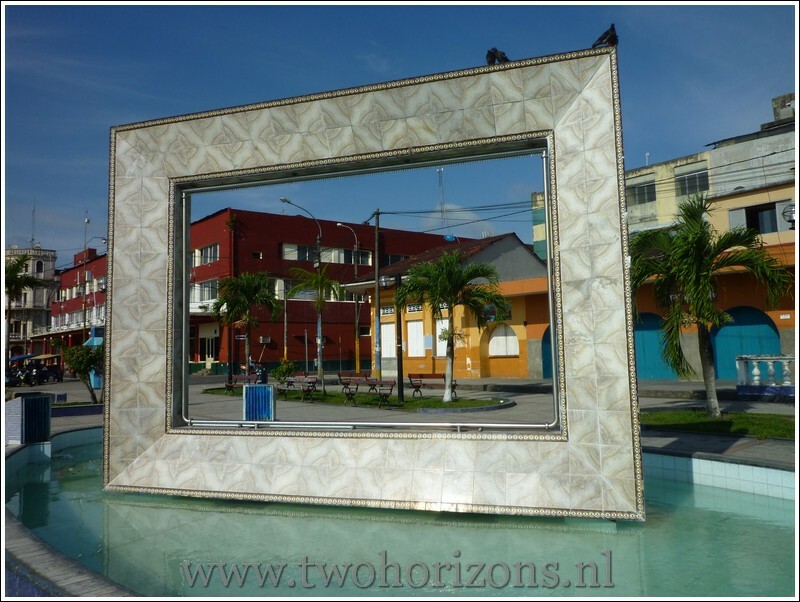 Travelling through South America, every town big or small has a Plaza de Armas, and Iquitos surely has one of the liveliest plazas. Every night we loved strolling around the plaza which was filled with families, couples and friends hanging around or eating ice cream. 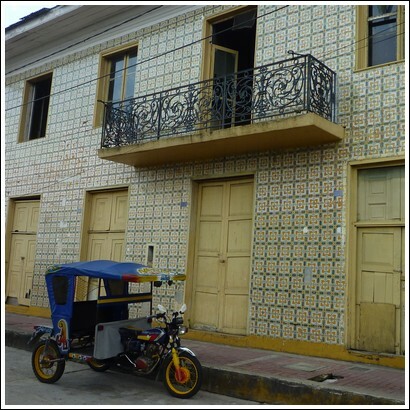 Ice cream is extremely popular here and Iquitos is filled with ice cream parlors and the majority lines the streets surrounding the plaza. At night, the fountain is on and lit in all colors. 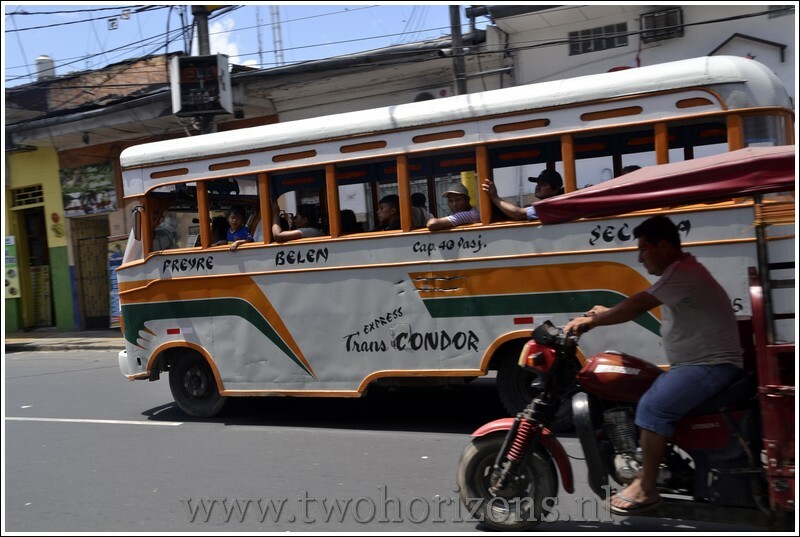 As the heat subsides in Iquitos, the people come out to play. The countdown to Christmas has started and the nativity scene set up at the Plaza de Armas is very Amazonian. 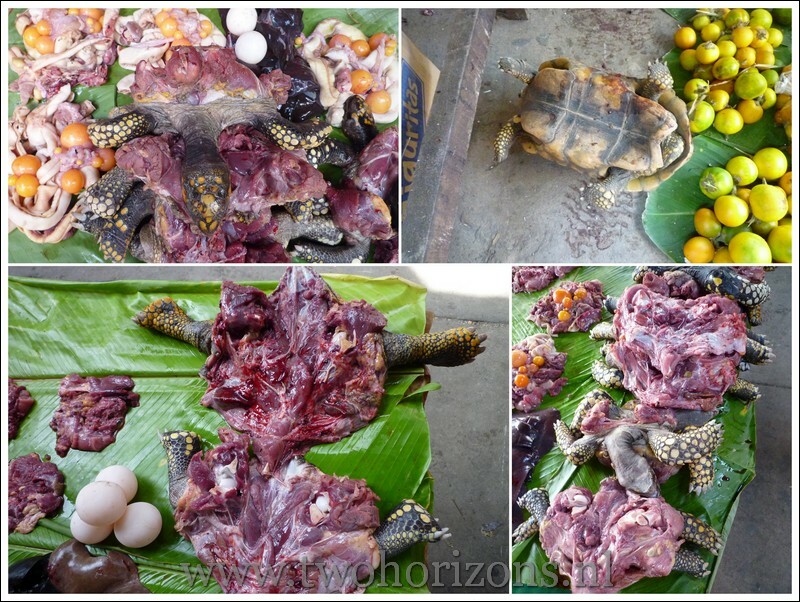 We were eager to try the jungle food that supposedly was really good in Iquitos. Meals consists of fish or chicken accompanied by rice, bananas or beans and is really tasty. A real jungle dish is juanes, where this all is wrapped in banana leaf and barbecued to perfection. With every set breakfast or lunch, a huge jug of juice is provided. Around town, lots of good restaurants are on offer. With a lot of travelers coming to Iquitos for luxurious jungle lodge experiences, plenty of upscale restaurants are available. However, with our long term travelling budget, we were also able to eat well here. 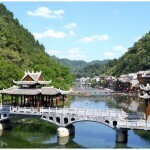 Our favorite breakfast and lunch place has to be The Huasai, a really great recommendation from our hostel. Set lunches are at 13 soles (€ 3.65), with a starter, main and a jug of juice. The place is packed with mostly locals as they know what is good. Being such a hot place, we were glad with our hostal choice, Hospedaje La Pascana, a friendly family hostal with simple but clean rooms and a really nice garden where you can sit and escape the heat. As everything needs to come by boat or plane, cars are not plentiful and the main transportation method are the colorful motokars (motorized tricycle) and motorcycles. Open air wooden top buses are the other public transportation with destinations painted on the side and music blaring from inside. We stayed a total of 4 nights in Iquitos (3 before our trip into the jungle and 1 more after) and thought that this was a good amount of time. We came to Iquitos without a jungle expedition or lodge booked so we had some time to visit a few companies and compare before we made a choice. 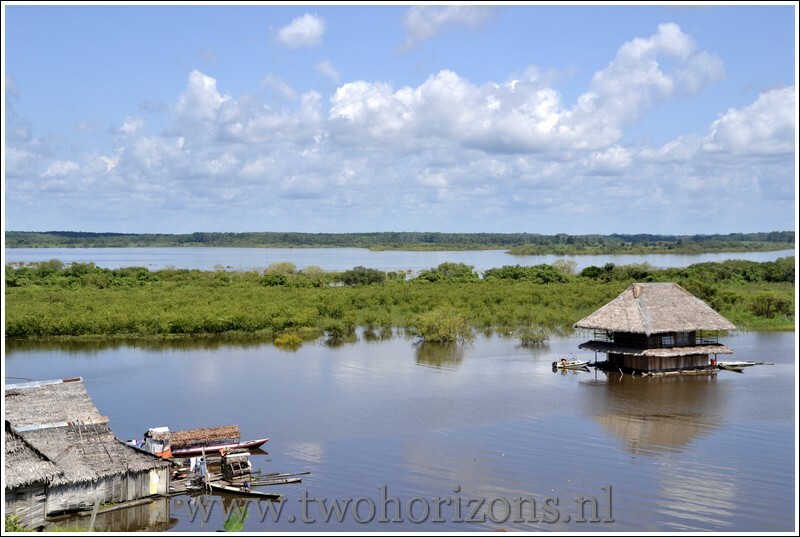 Booking these trips in Iquitos was much cheaper than through internet. It was also a good way to have a feel of how the company is as there are so many companies that it was a bit overwhelming at first. Walking along the streets, visiting the markets and spending our evenings in nice open air restaurants and the Plaza de Armas was a great way to get a feel of Iquitos, the Amazonian city not to be missed.